Microsoft opened this Monday with their big E3 press conference and they had quite a few big announcements and gameplay demos to show off. I’ll once again be trimming out the brief lowlights of the conference in favor of just giving you the meat and potatoes of what we gamers love. So without further ado, let’s get started! 1. Forza Horizon 3 is heading to the Outback! Playground Games’ third entry into the Forza Horizon series was showcased heavily at the conference, as they revealed that the game will take the Horizon festival to Australia. Naturally, this new aesthetic has added many new types of vehicles, including off-road buggies, to the game to compensate for the new landscape. Horizon 3 will feature four player co-op across Xbox One and PC, and it will launch simultaneously on both platforms on September 27th. 2. Playdead Studio’s new game Inside is still kicking, and coming to Xbox later this month. Inside was showcased at last year’s E3, and has been radio silent ever since. Today, Playdead reintroduced the game and revealed that it is very much alive and practically done. The game will be coming first to Xbox One on June 29, and PC on July 7th. Microsoft had two brand new zombie games to show off this year, with the announcements of both State of Decay 2 and Dead Rising 4. State of Decay 2 was revealed with a partially cinematic and partially gameplay trailer that revealed it will come out in 2017. Dead Rising 4 was revealed with a primarily gameplay trailer showcasing Frank West’s return to the lead role. The game will take place at Christmas time, and probably not coincidentally, Dead Rising 4 is coming Holiday 2016. Platinum Games returned to E3 to show off Scalebound and it’s foru player co-op mode. The gameplay featured the biggest boss battle that Platinum has ever created, with the players swapping between ground and dragon combat to fight the massive crab creature. The gameplay wasn’t the quick action that Platinum is known for in games like Bayonetta, but appears more methodical like games like Monster Hunter. Scalebound is due out on Xbox One and PC in 2017. 343 Industries’ Dan Ayoub took the stage to announce that Halo Wars 2 is being developed by both 343 and Creative Assembly (devs of Total War series), and will launch on February 21st of 2017, a delay from there initial Fall 2016 release window. To cool the sting of the delay, 343 announced an open beta which is available right now on Xbox One. The whole game will launch on both Xbox One and PC and it, along with all Microsoft Studios games revealed at the conference include cross-buy when bought digitally for play on both Xbox One and PC. Rod Fergusson of the Coalition brought out the big guns with an extended gameplay demo of the upcoming Gears of War 4. The demo showed off the new swarm enemies and dazzling weather effects, including crazy lightning strikes, and a new weapon called the Buzzkill which shoot saw blades at enemies that can ricochet off walls. The Coalition also showed off a limited edition Gears of War elite controller for Xbox One, and Iron Galaxy revealed that General RAAM, the antagonist of the first Gears, is available now for Killer Instinct. Gears of War 4 launches on October 11th. 7. Sea of Thieves wows with insanely fun looking co-op. Rare revealed the first gameplay for Sea of Thieves and it looks immensely fun. The team at Rare invited community members in and split them into three teams to play the game. They were given no tutorial, no instructions, and simply told to play. What follows is an amazingly fun looking gameplay demonstration. No release date or window was announced, but Rare did reveal they want to get fan feedback on the game as early as possible, so expect some sort of early access or alpha for the game. There have been rumors for months that Microsoft is building an Xbox 1.5 of sorts, that is more powerful than the Xbox One while not a new generation of consoles. It is code-named Project Scorpio, and was confirmed to be real by Microsoft today. It features of six teraflops of computing power, and the most powerful graphics processor in a console to date. Microsoft also revealed the Xbox One S, a slim version of the current Xbox One console, that will feature 4K resolution and full HDR output (as will Scorpio). Everything that works on Xbox One will work on Scorpio and One S, and likewise for anything that works on Scorpio will work on Xbox One. “No one gets left behind,” Phil Spencer declared. The Scorpio will launch in Fall 2017, and the Xbox One S this August. And those are the big highlights from the Xbox One press conference, and I even left out a trailer for the upcoming game ReCore, which looks phenomenal. The press conference was, in my opinion, the best Microsoft has put on in years. What were your highlights? Let me know in the comments! This entry was posted in Gaming and tagged Dead Rising 4, Forza Horizon, Gears of War, Gears of War 4, Project Scorpio, Rare, Scalebound, Sea of Thieves, Xbox, Xbox One on June 13, 2016 by leagueofmediocregamers. Beginning on Sunday June 21st, gamers who purchase an Xbox One will receive another game for free, according to Xbox’s Major Nelson. This offer, which will run through June 27th, is valid on both the 500GB models of the Xbox One and the new 1TB models of the Xbox One. This also includes the bundles that come with games like Halo: The Master Chief Collection or the one that arrives with both Assassin’s Creed: Unity and Black Flag. We don’t currently know what retailers will participate in this deal, but it is probably safe to assume that places like Target, Wal-Mart, Best Buy, and Gamestop will be involved. As to what your free game can be, it’s seemingly totally up to you. Major Nelson revealed it can be literally any new Xbox One title that’s MSRP does not exceed $59.99 (the standard price for a new game). So, gamers who want the brand new Batman: Arkham Knight and an Xbox One are in luck as those are both apart of the promotion. As the image above shows, it can also include games like Forza Horizon 2, Call of Duty: Advanced Warfare, Dragon Age: Inquisition, or the phenomenal Witcher 3: Wild Hunt. Microsoft ran a similar promotion to this last year around the launch of Destiny, seemingly to combat the PlayStation 4 Destiny bundle. It should be noted that the PS4 has a Batman: Arkham Knight bundle starting next week as well. 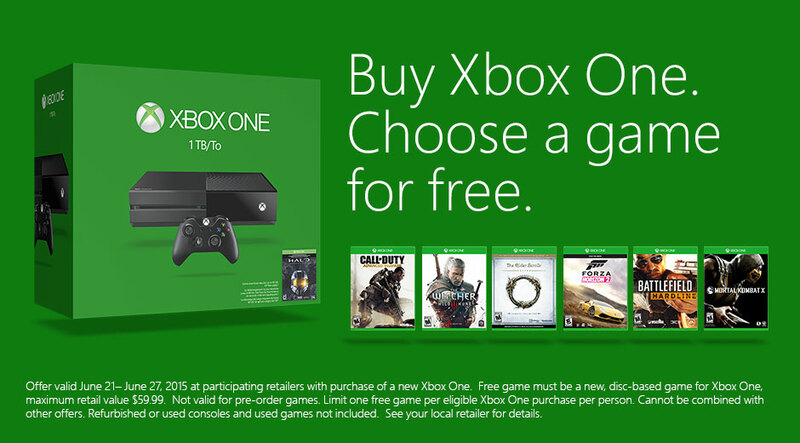 This entry was posted in Gaming and tagged Deals, Xbox, Xbox One on June 19, 2015 by leagueofmediocregamers. Microsoft is holding their press conference on Monday the 15th at 11:30am Central time, and it will last for about 90 minutes. During the show, expect gameplay demos of the likes of Halo 5: Guardians, Rise of the Tomb Raider, Forza 6, and probably titles like Fable: Legends, a Gears of War remaster, and the next title in the Gears of War franchise. Of course, their will also be major third party titles shown as well, though Call of Duty may not be present like it was in past conferences. I’ll be covering the conference and give readers a full recap of the proceedings afterwards. What games are you most looking forward to at E3? Let me know in the comments below! This entry was posted in Gaming and tagged Crackdown, E3, E3 2015, Phil Spencer, Quantum Break, Scalebound, Xbox, Xbox One on June 11, 2015 by leagueofmediocregamers. Today, Microsoft announced the release date of Kinect for Xbox One is October 7th, and it will retail for $149.99. The announcement came from a post to Xbox Wire, where the staff wrote “When we announced the new Xbox One option, we also shared that we would deliver a standalone Kinect sensor for people that chose to purchase the sensor at a later date.” Microsoft went on to highlight the many things that Kinect can do for gamers, including it’s gameplay functionality as well as additional services available through voice commands. The choice to unbundle the Kinect from Xbox One came earlier this year, shortly after Phil Spencer became Head of Xbox. At the time of that announcement, Spencer said “There’s a lot about Kinect that I love, but we’ve also heard from people that they just like to play games with a controller in their hand and hey play multiplayer through Xbox Live. And what we wanted to do, was for those people make sure that there’s a version of Xbox that meets that exact needs that they have.” Since then, Microsoft has practically abandoned the Kinect, with little mention of the device during it’s E3 press conference, and next to no new titles being announced for it. They have also unveiled two new bundles for the Xbox One at the $399 price point. This reporter’s opinion: This price point seems doomed to fail from the beginning. This is $25 more then the Xbox 360’s Kinect is selling for, and they still had trouble selling that device. To me, this is Microsoft really finally moving on from Kinect. This entry was posted in Gaming and tagged Kinect, Microsoft, Xbox, Xbox One on August 27, 2014 by leagueofmediocregamers. 343 Industries has dropped yet another mega-ton on Halo fans today, with the confirmation of not just ranks for the Halo: Master Chief Collection, but a ranking system identical to the system used in Halo 2. 343 made the reveal during Microsoft’s presentation at Gamescom, and followed it with a tweet reading “We listened: #Halo: The Master Chief Collection features a ranking system with identical leveling as the original Halo 2.” For those unfamiliar with Halo 2, the game sported a 1-50 ranking system, that had a certain number of required wins or losses to go up or down in rank. Beyond Entertainment has a great read-out from an old magazine explaining the system as well. The ranking system for the Master Chief Collection will be the same across all four games, and will be specific to each playlist (like in Team Slayer you can have a 50, but Big Team Battle you may only have 3). As shown in the photo to the right, the game will even sport the same emblems for each rank, though naturally those emblems have been given the HD treatment. This return of 1-50 ranks has been long clamored for by the competitive Halo Community, who see the ranks as necessary to facilitate competition in each ranked match. 343 has yet to reveal which playlists, if not all of them, will feature ranks in the Halo: Master Chief Collection, but I’m sure more of that new will be released as we get closer to release on November 11th. This entry was posted in Gaming and tagged Gamescom 2014, Halo, Halo 2, Halo 2 Anniversary, Halo Master Chief Collection, Halo: The Master Chief Collection, Ranking System, Xbox, Xbox One on August 12, 2014 by leagueofmediocregamers. Halo 5 beta news round-up, including the announcement of Midship as the first map! Today at Gamescom, 343 Industries revealed some tidbits of information about the upcoming Halo 5: Guardians Beta. Arguably the biggest announcement was the return of Midship for Halo 5. 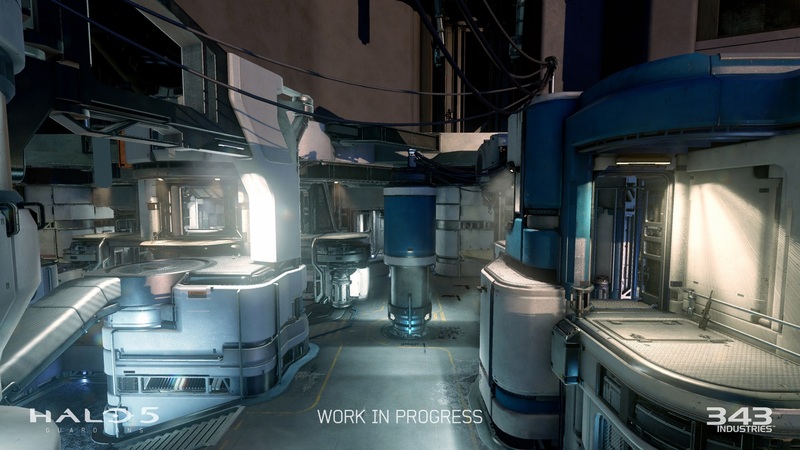 The beloved Halo 2 and 3 map will return for Halo 5, with a new coat of paint, and a slightly tweaked design to better fit the Halo 5 gameplay style. 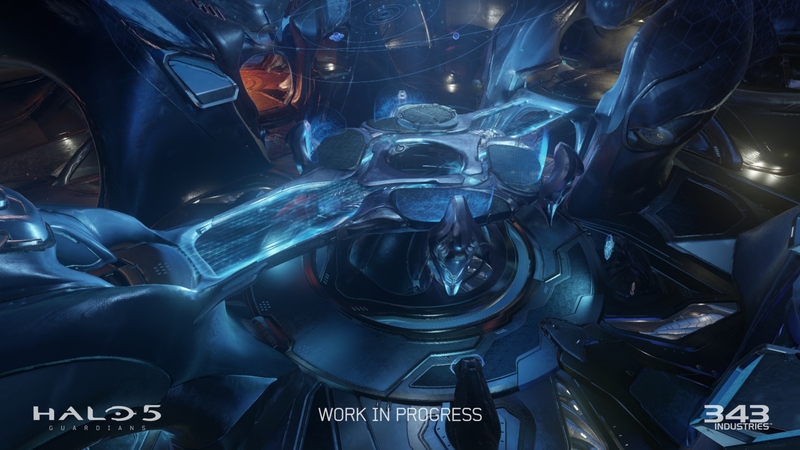 As you’ll notice in the video (and photos below) Carbine side has been expanded to give more cover to players on it’s third level, bottom-mid now features a tunnel instead of open spaces, that will likely make a flag run bottom center easier, and their is no upper sword position above top center. No weapons were shown on the map, so we can’t confirm if the sword has been taken out entirely, though it is doubtful it would be. On top of that news, we got a sneak peek at another Halo 5, but this one appears to be a brand new design. The new map has a look not unlike that seen in Skyline in Halo 4, but features more destruction on the map (a hint at the story of Halo 5 featuring an attack on a human city perhaps?). 343 reiterated that this Beta will be focused on small, arena style maps, with 4v4 combat as their primary purpose. This new focus on competitive, arena style gameplay, will also see the return of “fair starts” meaning that every player spawns with the same weapon, grenades, and power weapons spawn on map. More photos then the one below can be found on Beyond Entertainment. 343 went on to confirm that the Beta will feature seven maps, three game modes and eleven weapons. Beyond Entertainment was able to confirm six of the weapons to be the Assault Rifle, Battle Rifle, DMR, SMG, Rocket Launcher, and Sniper Rifle. On top of all of this news, 343 announced the creation of the Halo Channel. This channel will be a hub exclusively on Xbox One for all Halo video, Twitch streams, developer video, and Halo Nightfall content this Fall. The channel will be interactive, with a live scoreboard of matches below the stream as well as a chat to it’s right (should you want to view those). 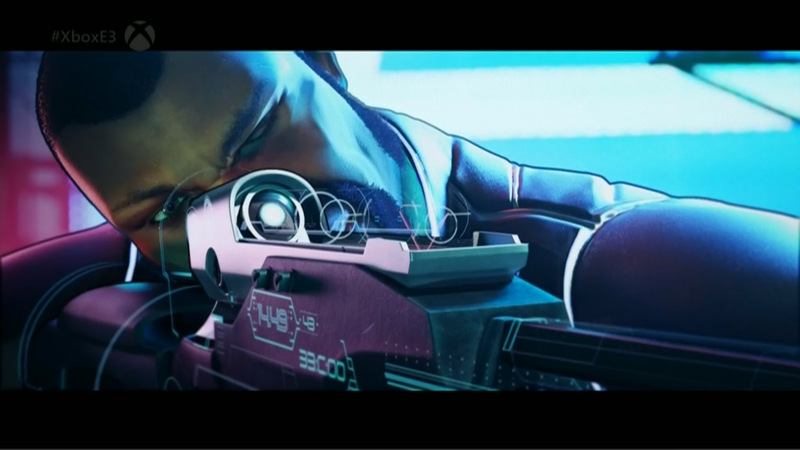 Integration similar to SmartGlass was shown for Halo: Nightfall, allowing fans to learn even more about characters like Agent Locke. 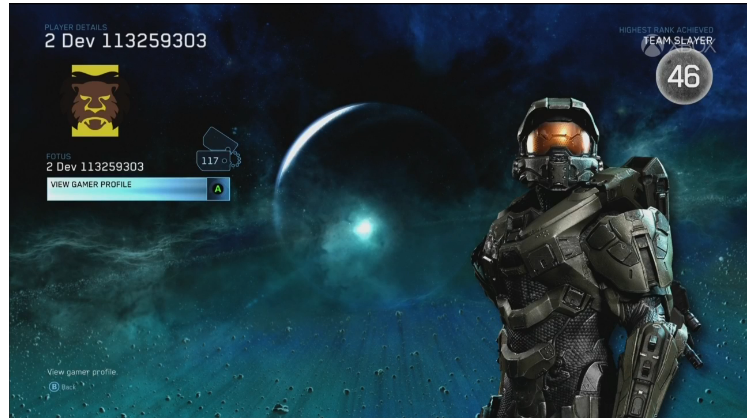 Rewards and unlockables will be earned by completing different challenges, similar to Halo Waypoint. The Halo Channel is coming this Fall, with the Beta launching on December 29th. Both of these will be included in the Halo: Master Chief Collection, which launches on November 11th. This entry was posted in Gaming and tagged 343 Industries, Gamescom, Halo, Halo 5, Halo 5 Beta, Halo 5 Maps, Halo 5: Guardians, Midship, Xbox, Xbox One on August 12, 2014 by leagueofmediocregamers. Today at Gamescom, 343 Industries revealed that the fourth official map to join Halo 2: Anniversary will be Sanctuary. The classic Halo map was revealed in the video above, that showcased four professional Halo legends, Strongside, Walshy, Pistola, and Flamesword competing in a match of 2v2 Slayer. Everything appears to be exactly how fans remember it, though 343 swapped the sword in the center of the map for rockets (a swap MLG used in their gametypes) for this video. Sanctuary joins Ascension, Coagulation and Zanzibar as the fourth map confirmed to be receiving the anniversary treatment for Halo: The Master Chief Collection. What the remaining two maps will be is anyone’s guess, though 343 Industries’ Frank O’Connor has heavily teased the fan favorite map Lockout as one of the remaining two. Sanctuary and Ascension will be played during the Halo 2 Anniversary tournament being held on the floor of Gamescom this week, so expect even more footage of the two beloved maps to surface as the week goes on. This entry was posted in Gaming and tagged 343 Industries, Gamescom 2014, Halo, Halo 2, Halo 2 Anniversary, Halo Master Chief Collection, Halo: The Master Chief Collection, Sanctuary, Xbox, Xbox One on August 12, 2014 by leagueofmediocregamers.